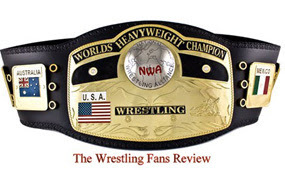 Hello again wrestling fans. My family and I attended a special autograph session with John Cena, at the Toys R Us flag ship store in Time Square. In order to get tickets for this event you needed to buy $30 worth of WWE merchandise, which was easy to do because they have a great selection of action figures. On the day of the event I left my house super early excepting to see a huge line, but when I got there I was only the10th person on line. I always say, when there is a free autograph session with current WWE stars you need to get on line super early or you’re going to spend your entire day there. While waiting on line there were Toys R Us staff members that were telling us that Cena was only signing the items purchased in Toys R US. These guys were “hatting”, while wearing rise above the hate tee shirts, how ironic. Finally the autograph session began and I don't know how this happened we became the first people to meet him. 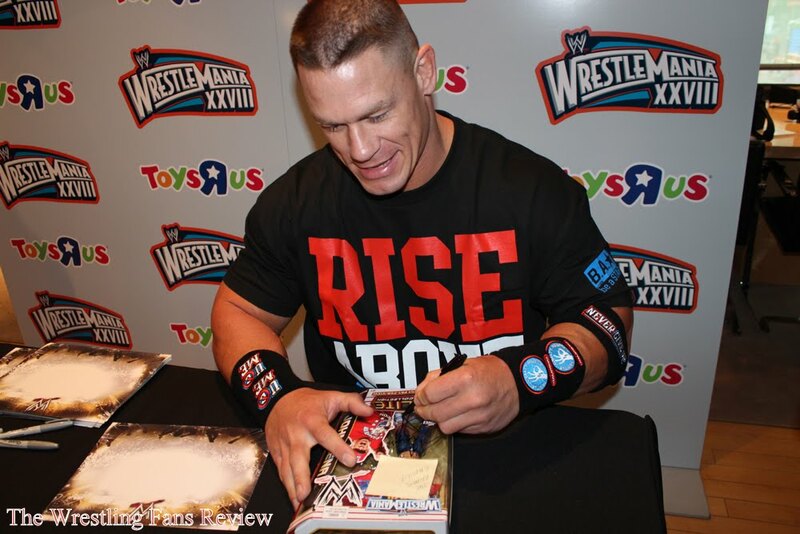 Cena was great he signed and personalized all of the action figures, we brought to be signed. We gave him a classic Jakks Pacific figure, in which he had the Spinning US title & a classic 8x10 picture of Cena with the spinning United States championship. I can honestly say Cena is one of the coolest wrestlers to meet, but I am Team Bring It all the way and being in a sea of Cena fans was crazy. There were red caps everywhere, Cena Tee’s everywhere and there was Cena chants! The horror! Until next time see you on the line.